English performer Morrisey, whose parents were Irish immigrants, has slammed Queen Elizabeth's visit to Ireland describing her as akin to Libyan ruler Muammar Gadaffi. 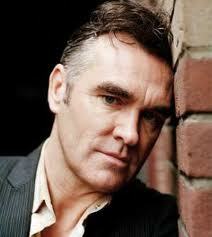 Morrisey who played with The Smiths made his remarks in a Hot Press magazine interview. ‘The very existence of the Queen and her now enormous family – all supported by the British taxpayer whether the British taxpayer likes it or not – is entirely against any notion of democracy, and is against freedom of speech. ‘The Queen also has the power to give back the six counties to the Irish people, allowing Ireland to be a nation once again. ‘The fact that she has not done so is Fascism in full flow. What else could it be? Name one other European country that is controlled by its neighbour?"